Ride the train across 65 miles of beautiful Northern Arizona countryside. This is an adventure you never forget. Feel the rumble of an old school train that looks like those from the 1800s. You will get to see the Grand Canyon from another perspective. If you are interested in American history and beautiful nature then this is definitely the tour for you. You will start at the historic 1908 Williams depot. Before you start out as well you will be entertained with A western style shootout in the outdoor theater, this is something that's very interesting and exciting and it was sure to be a treat for you and your family. After that, you would depart on a train that offers kaleidoscopic views the San Francisco peaks and rolls to valleys and small canyons. Before you begin you can also enjoy your delicious breakfast from the buffet. After the train whistles then it's time to begin. You will roll across beautiful landscapes, lots of trees, canyons, and you'll be able to see unique wildlife that native to the area. Uniformed attendants will be friendly and courteous and be there to help you if you have a problem. You will also be up to enjoy the full strolling musician who has sing-alongs and you also be treated to an old West trade robbery as well as Western characters recreated as you travel back in time to 1901. After you've finished the journey your train arrives at the Grand Canyon Depot. This is the only remaining loud people still in operation in the United States. 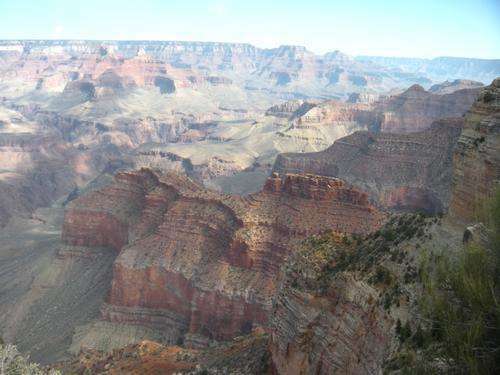 You would then be escorted to some of the most beautiful overlooks of the Grand Canyon. You also get a narrated motorcoach rim tour that gives you an even better experience. 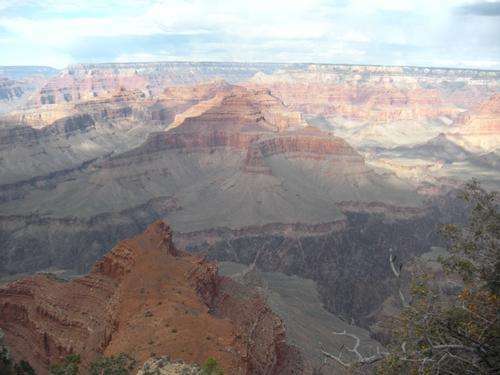 Step aboard the Grand Canyon Railway for a trip to the majestic Grand Canyon you'll never forget. 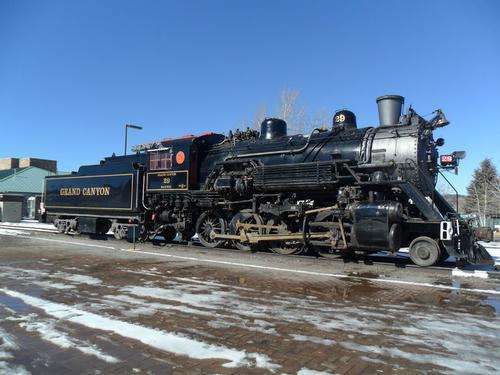 Feel the rumble of a vintage train as the engine chugs 65 miles across beautiful Northern Arizona countryside. The train offers kaleidoscopic views of the San Francisco Peaks and rolls through valleys adorned in wild flowers, dense pine forests, high desert plains and small canyons. The excitement begins at the historic 1908 Williams Depot. Before the train departs you will be entertained at a Wild West shootout featuring the Cataract Creek Gang in an outdoor theater. Shop in one of two gift shops, or enjoy a hearty buffet breakfast before departure at the Grand Depot Cafe next to the depot. The train arrives at the historic 1910 Grand Canyon Depot, the only remaining log depot still in operation in the United States. Buildings like the El Tovar Hotel, Hopi House and Bright Angel Lodge salute arriving guests as you pull into the station and disembark from the train. 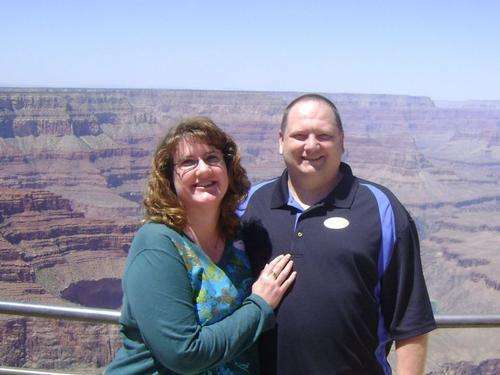 A narrated motorcoach rim tour enhances your visit by escorting you to the most scenic overlooks of the Canyon. A hot buffet lunch is included with the tour.